Just go to the Mi Sphere page on the Gearbest website and add the camera to your cart. When you view your cart you’ll see a box to input the code like the image below. If you’ve never used Gearbest before you’ll need to create an account to proceed, but as soon as you do you’ll see the discount applied; you’ll be able to proceed with buying the camera for $263 instead of the full price. Gearbest ships to over 200 countries including the US, Canada, the UK and EU. Gearbest are only allowing 50 units to sell at this low price, so don’t wait around or you might b too late to get the deal. Regardless of this discount, the Mi Sphere is one of the best 360 cameras I own, and I own a lot of them! The Mi Sphere came out of nowhere from a relatively unknown company to beat out several big hitters like Samsung and Kodak. You can read my Mi Sphere review for an in depth analysis of what the camera can do, but I’ll give you a quick low down on my opinion here. In terms of video, the Mi Sphere performs better than its specifications suggest. 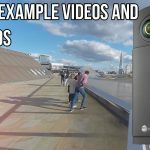 Even though the Mi Sphere isn’t a 4K 360 camera (although an upcoming software update may soon enable a 4K mode), its 3.5K lenses preform better than many 4K cameras. Most importantly, the Mi Sphere camera has 6 axis stabilization which keeps your footage looking smooth even while you move. This is a killer feature to have on such a cheap camera and one of the reasons why the Mi Sphere is the best value right now. While I clearly think the Mi Sphere is a great 360 camera, it’s by no means perfect. Lets take a look at the pro’s and con’s so you can be completely clear on what you are buying. If you are looking for a camera to livestream then the Mi Sphere isn’t for you, because it can’t livestream at all! Another feature lacking in the Mi Sphere is the ability to automatically stitch 360 video and photos, this means you’ll need to connect your camera to your phone and wait for the app to complete the stitching process. This shouldn’t take long, but some more expensive cameras can do this automatically. 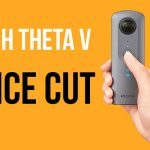 All in all I think this is a small price to pay for such a good value camera, the Mi Sphere can outperform cameras nearly twice its price and has all the features someone just getting into 360 content creation needs.